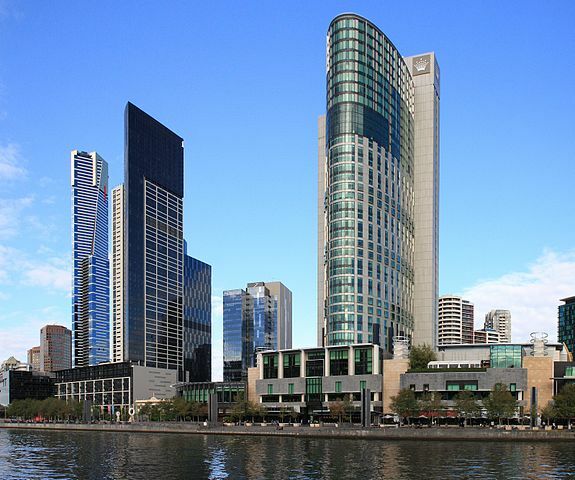 A high roller scammed the Crown Casino in Melbourne, Australia out of $33-million. Few can resist the siren call of the one-armed bandits as they step off their planes into the Las Vegas airport. Some stop awhile to play just for luck. A rare few might win the jackpot. Others hunger for much higher stakes. The scoundrels are always looking for an angle to beat the house. It looks so easy in the movie “Ocean’s Eleven” with George Clooney, Brad Pitt, Andy Garcia and Matt Damon. Their score seems far-fetched. Impossible. But, several weeks ago, life imitated art. An Australian casino was taken for about $33 million by one of its high rollers. Just like the movie, he used the casino’s surveillance system in his sting. In “Ocean’s Eleven” (2001), George Clooney plays Danny Ocean. 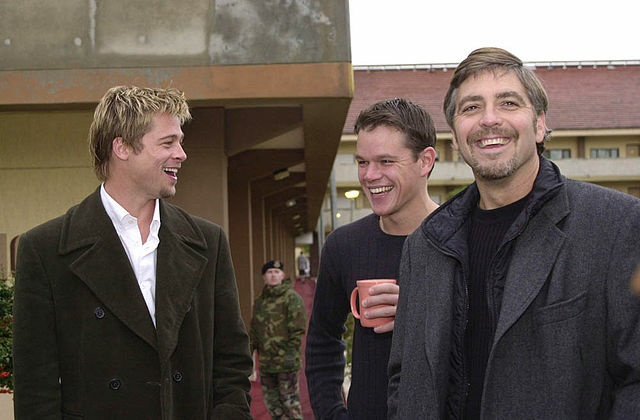 Recently released from prison, Ocean and Brad Pitt (as Rusty Ryan) recruit a team of con men, safecrackers and security experts. The 11 members plan to rob three casinos that share the same vault – the Bellagio, the Mirage and the MGM Grand. All of them are owned by Andy Garcia (as Terry Benedict). Ocean’s motives are personal. Benedict is dating Tess Ocean (Julia Roberts) – Danny’s ex-wife – and Danny hopes to win her back. Plus, he hopes to scam $150 million from the heist. To pull off this caper, Ocean’s team builds an exact replica of the vault in a warehouse. This is the vault that the casino’s monitors will be watching instead of the actual one. Clooney, a smooth operator, pulls off this caper with sleight-of-hand skills that would make an experienced magician seem sluggish and unimaginative. Power is cut across the city. The video cameras do not betray the gang’s access to the vault, and it becomes easy pickings. Casinos are vulnerable in real life as well. From the description of the rip-off, it sounds like the thief also was channeling Goldfinger. 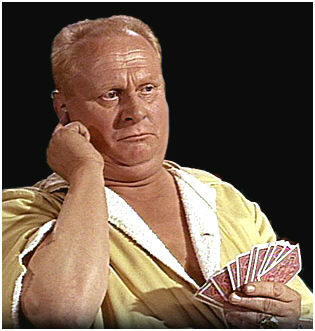 Envision Gert Frobe (as Goldfinger) playing cards and winning hefty amounts from his unsuspecting pigeon. His secret? High above the card game, a woman was able to view the “pigeon’s” hand thru her binoculars. Then she relayed the information to Goldfinger via an earpiece that he was wearing. Goldfinger’s scam discovered, and he’s told to start losing. This is apparently what the thief did at the Crown. Investigators suspect that the high roller and an inside accomplice gained access to the casino’s high-resolution cameras which allowed him to “have the content phoned into him via an earpiece he was wearing,” according to ABC. The casino reportedly kicked the high roller out of the Crown’s pricey villa. He will be prohibited from returning to the casino, and the casino employee who aided in the theft has been sacked. Some say this could have been prevented if casinos monitored for wireless transmissions. Crown officials are hopeful that they can recover a significant amount of the money stolen during this scam. Las Vegas-based casino consultant Barron Stringfellow said that’s unlikely “if the thief was able to leave the property with the windfall,” according to an MSN News report. The odds are not in the casino’s favor. I am never lucky at these things. I can lose $5 in 30 seconds and then I don’t want to play anymore! Yeah, I lose that gamble too but it doesn’t stop me from buying. Just finishing up my spring cleanout. I finally put out a raincoat that had coupons from 1999 in the pocket! AA Hubby and I seldom go to casinos, but when we do I always get suckered into dropping $20 on the 25 cent slots. That’s my limit. Big stakes! I lose it all every single time, and go through a range of emotions as I get ahead a little, lose a bit, get ahead again, and then watch it all go down the drain. I can’t imagine how someone pulling off a heist like that keeps their cool. Until several years ago, this was my experience to a T, AA. I’ve decided that Lady Luck and I parted ways years ago – when it came to the slots. So, no more. I won fifty dollars on my first 20 cents of a nickle machine once. I left right after I collected it. I’ve never gambled since and that was over 15 years ago. Deb, you just reminded me of a windfall I won many years ago. I spent less than $5, won $150. My husband and I left immediately and spent part of it on dinner. That’s the most I’ve ever won. Like AA, I set a limit of $20 and put it on the nickle slots. I typically lost it all – but, that one day, I was extremely lucky. That’s really fun when that happens, Judy! Many people don’t know how to quit when their ahead, but not you and me. We both know that’s not going to happen twice. Glad to know you came out ahead too, and had a nice dinner. I think we ended up using ours for gas…it was much needed. note from earthrider to Deb:I hope that you also have a Happy Easter. Your art and messages are wonderful. I have to admit I only take a small amount of ‘playing’ money to a casino. It’s whaty I regard as the fee to watch the mesmerising stuff. Then I wander off and do something else. Wise choice, SidevieW. One year, I decided to sit out the “fun” at the slots and just draw. It was cheaper and way more fun. That’s the way to do it. We did something similar at a slots machine closer to home. Glad you scored and had some fun with the winnings. Glad you liked it. Thank you for following me. I went to Foxwoods once. Couldn’t stand the second-hand smoke hanging around the slot machines. To be honest, I was bored pretty quick. I never win anything. But as for the movie Ocean’s 11 (and 12…etc) We love those. I’ve seen the first one about 100 times. Fascinating that a heist can be pulled off in this day and age though what with all the technology out there. The smoke is intense for non-smokers. There are sections in Vegas, as I recall, that are smoke free. But I’d rather watch the action at the movies, and “Ocean’s Eleven” is a fun movie with top-notch actors. Wow! He was able to scammed $30 million. I thought that only happens in the movies. I’m not really a fan of casinos. I always loose and I don’t like losing. Ha,ha, ha. Great post. Those religious minded amongst us might opine that the Casinos indulge in sinful activities and this is just desserts.Sinful or not, all businesses and commercial activities run the risk of fraud.So long as windows of opportunities are visible to the unscrupulous, money would be swindled.Can we accept this as reality without getting hot and bothered? It is then that we can determine the way forward. Your point about the risks is well taken, Shakti. But, if I were out $30 million thru unscrupulous means, I’d be hot and bothered. 🙂 Let’s face it, I’d be ticked off if I were out $30 which is why I don’t gamble. Although, I confess, I did try my luck a few times. Very interesting, Judy. I’m sure the casino will not have to close because of this security breach. They’ll just make up the money on the next few people who come along. The movie was fun! Sequels rarely live up to the original. I hope that wasn’t a lot of money, Madhu. Glad you had fun.